Who can ever forget iconic teleseryes like Marimar, Mara Clara or Dyesebel? These much-loved Philippine teleseryes are making a comeback this semester at the Ateneo de Manila University in the elective course “Literature Literature and Ideas III: The Philippine Teleserye” taught by Louie Jon Sanchez of the English Department, which offers an in-depth analysis and appreciation of these much loved programs. A keen observer of teleseryes, Sanchez says that it was his love for Korean soap operas in the Philippines which led him to study teleseryes. “The teleserye course is my logical direction. I’ve been studying and observing soap operas, particularly Korean soap operas in the Philippines. I’m basically a hallyu fan,” Sanchez explains. This cultural studies elective pays homage to the works of Professor Emeritus Dr. Soledad Reyes, who pioneered the study of romance novels and popular culture in the Philippines. The elective course “Literature and Ideas III: The Philippine Teleserye” explores the contemporary Philippine soap opera using the cultural studies and media studies framework. The exploration also traces the development of the genre aspect of the teleserye.Its focus is on the last 30 years, beginning with the return of democratized television in 1986. “We’re looking it as a literary text. Since it is seen as a literary text, there is an aesthetic, which means that it is also considered as a legitimate form of artistic expression which is shaped by commercial agenda,” Sanchez says. Being offered for the first time this semester, the elective welcomed 35 students. Since it is an open elective, its enrollees come from different disciplines. Many of them are self-confessed teleserye viewers. “Being here close to five years, I have learned that we really have to talk to the students. We have to make the lessons relevant. That’s what I do as a teacher. I do not only reinvent or help them rethink their ideas of a teleserye, I also try to explore with them other ways of making sense of the teleserye,” Sanchez says. The course has gained recognition not only in campus, but also from people in the teleserye industry. “People from the industry tell me that they feel thankful that their work in the teleserye is being valued,” he says, adding that there will be a part in the course where he will invite some friends who are involved with teleseryes. Tracing the development of the teleserye in the last 30 years, Sanchez identifies various high points starting with the return of democratized television in 1986. Shows during this period had political undertones. During this period, there was a strong movement for the localization in local television as well. As a result, there was a shift away from English newscasts and American programming. Another high point was the arrival of Latin American soap operas. “Latin American teleseryes were negotiated by way of Tagalog and dubbing,” Sanchez says. He cited Marimar, Rosalinda, and others, as examples of these. This was followed by another resurgence in 2000 when Asianovelas such as the Taiwanese hit Meteor Garden rose to fame. Eventually, we started to transfer from Taiwan to China then the Koreans. “We seem to be reclaiming our Asianness,” he says. Today, Sanchez says that we are still in the golden age of teleseryes. He observes that the recent success of teleseryes like ABS-CBN’s “Be Careful with my Heart” signals the return of the old mode of long teleseryes. More than a form of entertainment, teleseryes are a cultural signifier relevant to society. “We have to remember that the teleserye is a relevant text of our lives. It is a new literature that dramatizes contemporary life and implies certain truths about society and culture,” Sanchez says. That the teleserye also runs parallel to our country’s history adds to its cultural significance. “It has developed primarily as a genre along with historical changes and events that are obvious in the historical foregrounding of the study. It may also be said that the teleserye is our history’s parallel world,” Sanchez says. Ateneo Offers Course on Teleseryes: Coco de Ateneo, Thalia de Loyola! Sir Chief & Maya in the classroom? F4 & Marimar in the academe? Check if your favorite soap opera made it to this college course. The word “teleserye” used to be a simple broadcasting coinage in the early 2000s, when ABS-CBN aired the hit primetime soap opera “Pangako Sa ‘Yo,” top-billed by erstwhile love team Jericho Rosales and Kristine Hermosa. The network called the soap a “teleserye”, perhaps in an attempt to introduce innovation to a much loved and followed TV genre. 14 years after, the word teleserye holds fort as a byword, defining all types of Pinoy soap operas and is used, curiously, by all networks. However, the teleserye has long been looked down for its popular and mass appeal, and despite various scholarly revaluation continues to be deplored. In an interview with Choose Philippines, Sanchez claims that the teleserye, over the years, has become a genre distinctly Filipino, and for this alone, students and thinkers genuinely interested in deeply understanding our culture must begin reconsidering the teleserye as an embodiment, a “worlding,” he says, of contemporary Filipino life. Also a Hallyu (Korean wave) fan and scholar, Sanchez watched and wrote about Koreanovelas and consequently observed how Filipino teleseryes started to be patterned after the East Asian counterparts. 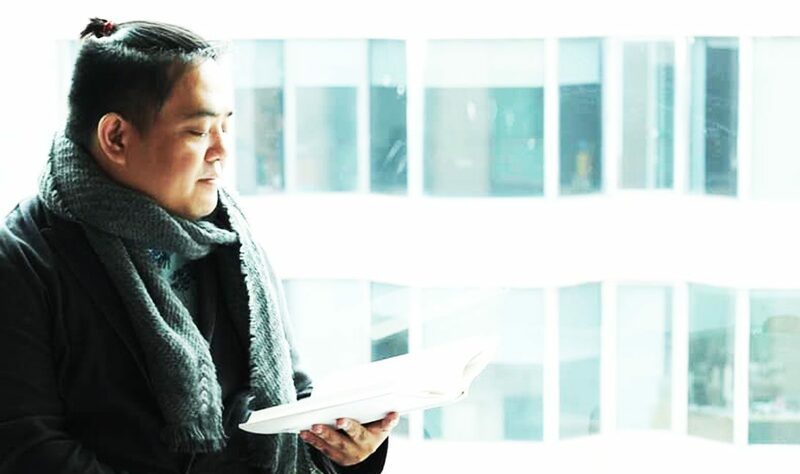 His considerations of recent productions led him to propose an elective course on the Filipino teleserye, which formally traces, in an academic setting, the development of this genre for the past 30 years. “Filipino television has undergone radical developments after that period. One significant high point is the teleserye, which from its beginnings as soap opera became staple in Pinoy TV viewing,” Sanchez adds. “The very fact that the word “teleserye” has stayed on proves its being a popular cultural icon. Like many pop culture texts, the teleserye is often ignored, but it speaks not only of our daily life, current events, history. It even contains—though subliminally—many of our collective desires,” Sanchez says. “We have very astute soap operas being produced lately, and maybe that’s the effect of the Korean wave on our local productions. We also had very interesting renditions of Filipino realities and issues—politics, the OFW phenomenon, women empowerment,” Sanchez reiterates. Be Careful With My Heart (2012). It also includes dubbed teleseryes like the Mexican trilogy Maria Mercedes, Marimar, and Maria la del Barrio, the Taiwanese phenomenon Meteor Garden, and Korean drama classics Lovers in Paris, Dae Jangeum, and Winter Sonata. Mara and Clara, Maya and Ser Chief as part of the class curriculum? Officially titled “Literature and Ideas III: The Philippine Teleserye,” the said elective—which will be offered as an open elective to students of ADMU in this schoolyear’s upcoming second semester—will attempt to study the “modes and development” of the contemporary Philippine soap opera. It is thought to be the first academic course in the Philippines to focus on the teleserye. “This course is designed for literature majors and minors wanting to engage in Filipino popular cultural texts, communication majors desiring to deepen their understanding of the genre, and all interested in subject,” the course syllabus explained. 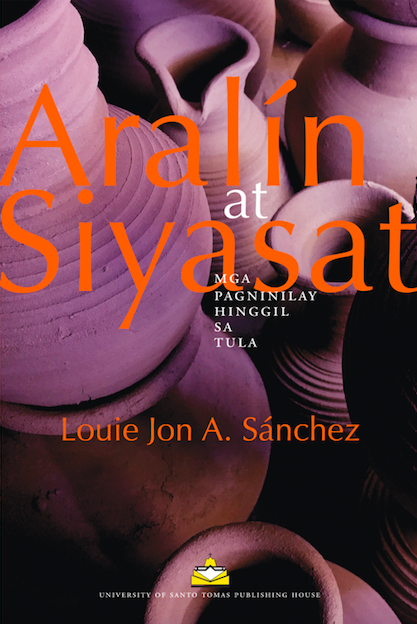 It will be taught by poet and scholar Louie Jon Sanchez, who has been watching and studying the teleserye for several years now. Sanchez said the idea from the course came about from his own scholastic explorations about the genre. He was also inspired by writer and scholar Soledad Reyes’ academic discourse on the Filipino romance novels. “I was interested in trying to find out how the teleserye turned into what it currently is, and as a scholar, my response to this challenge was to provide a historical perspective,” he explained. Why is there a need for formal and academic study on the Filipino soap opera, a topic that is considered a “low brow” by a number of scholars and critics? “We need to study the teleserye because it is part of our culture, and it is part our everyday [lives]. I say that the teleserye is often a misunderstood genre, and people can’t be blamed for complaining about its usual predictability and formula. What people don’t understand is that there’s much to be found in predictability and formula, things that may actually explain our social and cultural realities,” Sanchez explained. Sanchez also believes there is no need for the local soap opera to upgrade to “Hollywood level,” in reference to a viral online article that lists down reasons why the teleserye will not reach “the expert level” of US shows. “I really don’t see the need to upgrade to Hollywood level. We know that we’re not Hollywood. Hollywood has its own imaginaries, demons to slay. We have our own realities and fantasies to consider,” he said. On Monday, the first day of “The Philippine Teleserye” class at the Ateneo de Manila University, majority of the students confessed that they had enlisted in the Literature subject because they loved to watch Filipino soap operas. One said he enrolled because he was never allowed to watch teleseryes growing up, and wanted to know what he was missing. Another replied that it was the most fun class the English department had ever offered. The class was the first to close during enrollment because of the speed with which the students signed up. Rather than books, they will be perusing videos spanning 30 years of the teleserye, from post-EDSA Revolution shows to the current “Korean turn.” They will be looking at telenovelas, fantaseryes, and adaptations through historical, poetic, and aesthetic lenses. The roster of one-year-olds at the time it was showing will get to watch “Marimar” now that they are 19 or 20 years old. They will understand why “Pangako Sa ‘Yo” made Jericho Rosales and Kristine Hermosa stars in parts of Africa and Southeast Asia. And they will have the opportunity to relive their childhood days watching the F4 bully San Cai in “Meteor Garden”. It promises to be an enjoyable class, but a tough one, as well. The students will be submitting a paper every Monday on the week’s topic, and will hand in two other term papers for the midterms and finals. At the end of the semester, the best papers will be presented at a small conference dubbed the Teleserye Research Colloquim. “We have to balance off our indulgence in watching teleseryes. This is not showbiz. This is a serious study we will embark on,” quipped Sanchez. Ateneo has been offering classes on pop culture since the 1970s. Arguably the most prominent teacher is professor emeritus Soledad Reyes, who taught classes such as “Reading the Romance,” and who was sought for her expertise even by foreign scholars. Despite this, netizens were shocked by the news of Sanchez’s teleserye class, leaving nasty remarks on an article by the Philippine Star, where it was first reported. “No, just no,” said one. “I don’t want to live on this planet anymore,” posted another. “Waste of money,” added the third. “The course is a statement in itself. The mere fact na pinahahalagahan natin ang isang bagay na parang napaka-ordinaryo, pang-araw-araw, is already a feat in itself. Because we don’t get to study popular culture in this matter. The mere fact na pinayagan ng school ang kursong ito, ibig sabihin pinahahalagahan ng eskwela ang aspetong ito ng culture that is usually sidetracked because it is perceived to be low,” he told InterAksyon.com in an interview after the class. It was important for teachers to provide an alternative perspective to students to debunk this sort of thinking, he stressed. The academician who graduated with a journalism degree and holds a masters degree in creative writing, majoring in poetry, has been teaching in Ateneo for five years. He specializes in literary history, and has written papers on television studies. His peers in the English department were supportive of the subject he proposed, as they were united in defining a literature that was distinctly Filipino. And the teleserye, whether the public realized it or not, was part of that literature. In fact, he was not surprised to hear that his students were fans of the genre. “Class drama lang ‘yan. Ayaw lang nating mabuking na nagko-consume din tayo ng popular culture. Kunwari hindi tayo nanonood ng teleserye, pero nanonood din tayo ng teleserye. May mga pagkukunwari ‘yung class natin na ayaw nating makita, pero kitang-kita naman. ‘Pag pinag-usapan mo ‘yung pop culture, mas alam mo pa kaysa sa sinasabi mong gutom na tao na nanonood,” he said. The teleserye transcended itself in that Filipinos of different socioeconomic classes were actually discussing it in everyday life. “‘Yung text ng soap opera, lumalagpas siya sa hangganan ng sarili niya kasi napupunta na siya sa karaniwang diskurso ng mga tao. Nagtatagpo sa teleserye ‘yung mga perspective ng iba’t ibang class, pero iisa ‘yung paksa nila. That something holds them together, perhaps because they pretty much relate to it,” he explained. For example, “The Legal Wife” became the starting point for discussions of infidelity, among other things. The teleserye was a powerful medium because its audience was decoding various things out of it. A teleserye had the power to either perpetuate former beliefs about infidelity, or shatter them. In “The Legal Wife”, he said, these beliefs were shattered, even if only a little bit in a society as macho as in the Philippines. The man no longer continued to be proud when caught in the act of disloyalty. He suffered for it. In previous forms of pop culture discussing the topic, the man did not suffer; only the women did. “The soap opera is here to stay, that’s why we have studies like this, that’s why we need to commit everything to scholarship, so that eventually when it innovates again, it turns into something else, meron tayong point of origin,” Sanchez explained. Despite these small “tectonic shifts” in the way teleseryes tackle certain topics, three elements always remain. First, it has to feature an actor adored by the masses. The decision of which star lands the role depends on market research, Sanchez explained. Second, it has to revolve around the family. “The culture values the family a lot,” he noted. There is often a threat to destroy the order, but the equilibrium will be restored in the end. The longevity of “Be Careful with My Heart”, for example, can be attributed to its focus on the smallest unit of society. The widowed “Sir Chief” heads a motherless family, and the story revolves around the woman who eventually takes on the mother’s role. Third, it has to have a romance. This romance had to be complete, said Sanchez, which was why so many teleseryes end in weddings. We had heard of this course at the Ateneo Graduate School that dealt with a study of the teleserye. It interested us largely because the Ateneo seemed to be the only one offering this course and also because we wanted to find out what made the university champion the project. We, therefore, decided to attend one class that dealt with The Strong Man in the Male Teleserye. The students we found in the classroom were so quiet, their attention completely on the teacher in front of us. They had brought their laptops, pens, erasers, everything that would come in handy and were quickly scribbling or typing away what teacher Louie Jon Sanchez was saying. This course explores the contemporary soap opera called the teleserye on Philippine television, started teacher Louie, using cultural and media study frameworks. The exploration is historical, poetic and aesthetic in nature, attempting to explicate the development of the genre as it was practiced in the last 30 years, beginning with the return of democratized Philippine television and the entry of the Korean version. The course is designed for literature majors and minors wanting to engage in Filipino popular texts, communication majors desiring to deepen their understanding of the genre and all interested in subject. At the end of the course, the students are expected to be able to outline the development of the Philippine teleserye as a genre in the last 30 years through selected teleserye episodes; analyze these episodes by carefully reading them against that of the history of the country in the said historical time frame, and relate the development of the genre with that of the national literary tradition while appraising its contribution in shaping contemporary literatures. The students are also asked to write weekly papers and two term papers on critical teleserye issues. As we sat listening with pen in hand, we realized the many offshoots of a single topic. A student raised her hand and asked just what would be the characteristics of a Strong Man? Many answered they would all grow a moustache. The best model of the Strong Man would be Robin Padilla, explained teacher Louie, continuing that this man should look like the lover and redeemer of the woman in distress. The next portion discussed the case of the Feminized Male and clearly he would be a man who loved to show off his body parts, abs, etc. and wouldn’t be shy about it at all. We then moved on to the Asianized Male as portrayed in My Husband’s Lover which was very popular in Asia with both females and males alike. We were told that the next day would tackle Fantasy and Romance in the homosexual relationship. Those interested in attending the course in teleserye writing may contact teacher Louie through cellphone 0917-8129083. A quick look at local television offerings tells us that a good number of shows featured are Korean dramas. Even Myx, a Philippine-based music channel, has shows and segments dedicated to Korean pop music. On the airwaves, pop tunes from girl groups like 2Ne1 and Girls Generation and boy groups like Super Junior and Big Bang are on regular rotation. Truly, Korean pop culture is slowly and surely putting a foot in the door of Filipinos’ daily lives. How do Filipinos perceive Korea and Koreans in the Philippines? What keeps Filipinos hooked on Korean culture? Who is the typical Korean pop fan? How can Korea better engage Filipinos culturally? These are some of the questions explored during the recently concluded 2nd Philippines-Korea Partnership Forum. According to Marie Lee of TNS Global, a leading market research firm, in her presentation “Korea in our daily life: A look at Filipinos’ awareness and behavior towards Korean culture”, Filipinos, especially the upper and middle classes, are open and attracted to Korean, North American and Japanese cultures. Korean culture, in particular, attracts 15-30 year-olds in the survey. Most of those surveyed cited K-pop and TV shows/movies as their primary way of learning about Korean culture. This shows that Korean pop culture is the foremost point of engagement among Filipinos. “Everybody—regardless of gender, age or class—is aware of Korean TV shows/movies,” she said. As for K-pop music and artists, Lee said that nearly everyone is aware of it, but those in the ABC who are 15-25 years old score highest. Moreover, she also pointed out that interest is higher among females belonging in class CDE (D especially) who are aged 15-35. The study found out that Filipinos watch Korean TV shows/movies because it has “a good balance of character and plot” and the actors and actresses are appealing. Filipinos listen to K-pop for the songs’ catchiness and the dance routine. “More than with TV/film, however, interest of friends and family plays a role in sparking this interest,” Lee said. To learn more about Korean culture, most Filipinos turn to books and magazines as well as websites and blogs. In general, interactions of Filipinos with Koreans in the Philippines have been mostly positive. Louie Jon A. Sanchez, faculty member at the Department of English, Ateneo de Manila University, offered explanations on Filipinos’ growing love affair with Korean television dramas in his presentation “After Hallyu: A Critico-Personal Explication of Philippine Soap Opera Culture”. As for the Korean Wave’s place in Philippine culture, Sanchez says Filipino engagement with Korean culture comes in various forms. “Here and there, we find fandom at work for each and every form of Hallyu—in Facebook alone, we could encounter groups devoted solely for individual members of boybands such as Super Junior and other song-and-dance groups. There is also a cultivated interest in Korean culture, as some individuals go as far as learning Hangul, the language, or even go as far as Korea itself to pay homage to the Koreanovelas they love by visiting the set locations. The presence alone of a growing Korean community in various parts of the country show that indeed, the culture has come to the country, not necessarily to conquer, but to engage with our culture,” he concluded.